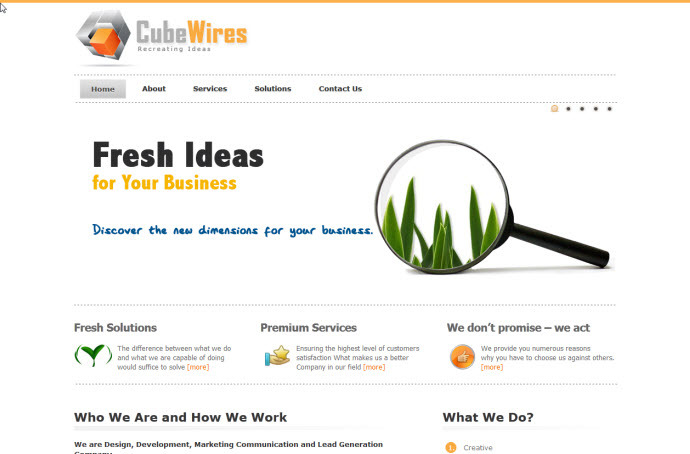 Website of digital agency CubeWires. This site uses the HTML5 doctype and nav element, but could have taken advantage of a lot more of the HTML5 structural elements, including explicitly specifying a charset. The site contains a div with a CSS class of “footer” which is a prime candidate for the footer element, and the side navigation on some pages could have been placed within an aside. In addition, section elements could have been used to separate some of the content.